This video shows a rendering of how a louvered roof system pivots. This video shows a rendering of how a louvered roof system with slides would operate. 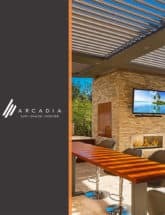 This video gives a great explanation of what an Arcadia Louvered Roof has to offer. 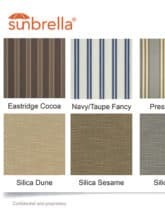 See the full selection of colors available. 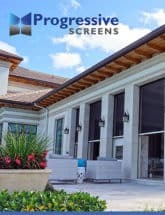 Progressive Screens is committed to being recognized as the industry leader in providing quality motorized retractable screening solutions and innovative designs that set us apart from our competition. Our primary mission is to provide our customers with World Class motorized screens, each of which are “Customized to fit your needs”. Progressive Screens guarantees top quality workmanship and materials in every system we produce. 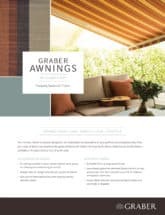 In addition to being a smart louvered roof manufacturer, we also specialize in technology and design with a focus on architectural innovation. 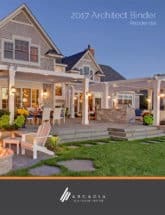 Our ‘smart roofs’ continue to evolve and provide an adjustable atmosphere for your outdoor living needs. We strive to continue updating our products and really changing the way people enjoy the great outdoors throughout the entire year.